After the security breach in one of the Google+ APIs, Google has not only decided to shut down Google+'s consumer version but they are also looking to make major changes in its developer tools to tighten the security. Google is changing the permission requests and one permission will be granted at a time for various services like mail and Calendar, etc. In October, the changes will be implemented on new users while the existing users will be facing the changes in the first quarter of 2019. Although Google has not answered the people's questions about these changes, it is expected that these changes were made after the security flaw in third-party apps. Earlier, the users were not aware of the third-party apps privileges but in this change, they will be aware of the apps requirements. Google has planned to make the permissions' part more transparent to avoid any confusion for the users. "Going forward, consumers will get more fine-grained control over what account data they choose to share with each app. 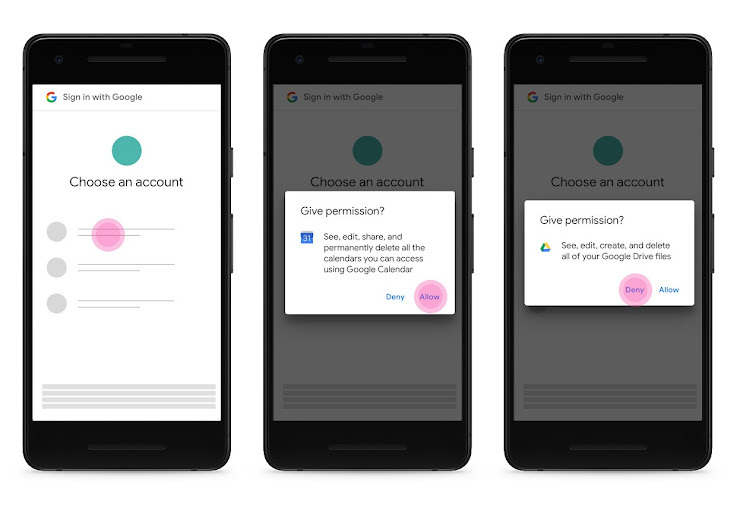 Instead of seeing all requested permissions in a single screen, apps will have to show you each requested permission, one at a time, within its own dialog box. ", said Google in a blog post.